A successful garden design is not just about the layout, but also how the garden connects with nature. Using decking is a great way of bringing a more natural feel to your garden design, and there are many different types available. Much depends on budget, maintenance requirements and the aesthetic that each type provides. 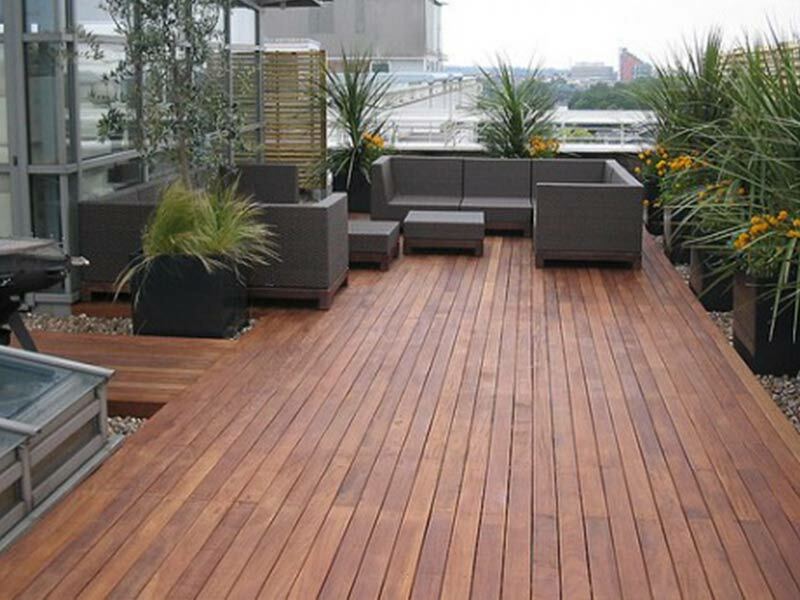 Decking types range from softwood to hardwood and now the composite variety, which contains recycled wood and plastic. Softwood is by far the cheapest to buy and takes the least amount of time to install, so if you have a tight budget then this is the best option. 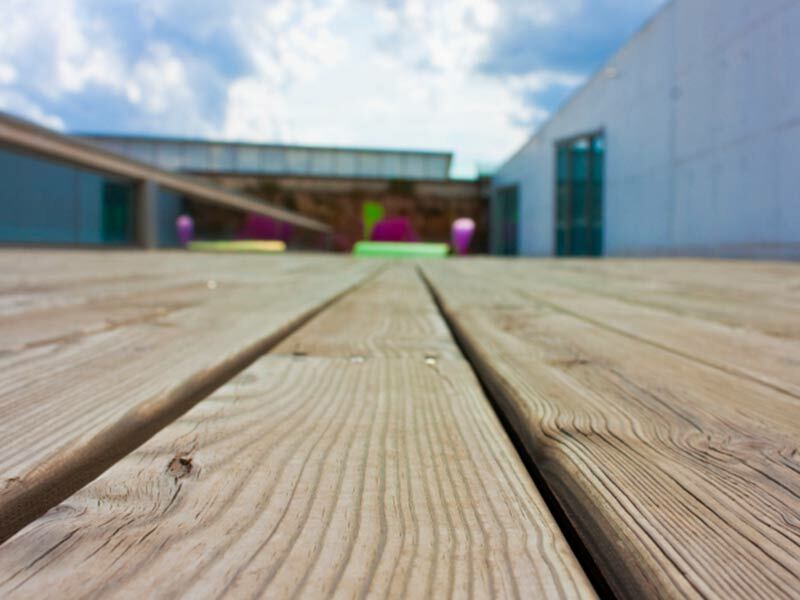 Softwood can be easier to work with but you will have to make sure the deck is properly maintained. The required maintenance would be pressure washing to remove algae and dirt. Softwood soaks up moisture like a sponge, which means it gets dirtier than hardwood and is more prone to algae covering the surface. A quick pressure wash soon rectifies this, but make sure that the deck is pressure washed before the dirt and algae get absorbed into the wood, as this could permanently stain it. A wood preserver applied once a year would help as it provides a protective layer. This may seem like a lot of work, but bear in mind that softwood can cost 60% less than hardwood and composite. Hardwood decking can be the easiest deck to look after but can be very expensive to buy, and takes a lot longer to install than soft decking. However the extra cost may provide a return, as it needs a lot less maintenance. Hardwood absorbs less moisture and dirt than softwood, and is also less prone to scratches. The durability means that the deck can last as long as 12 to 15 years, and if you decide to treat it with a preserver you could double this. 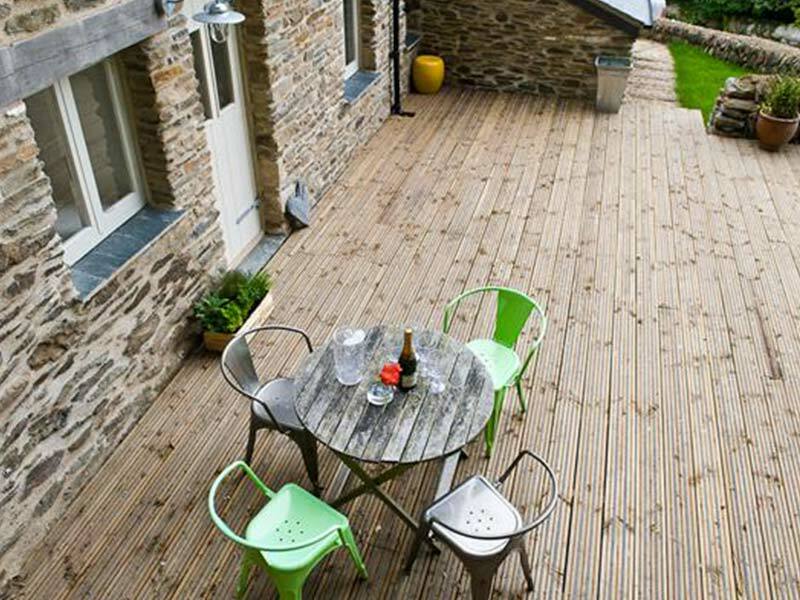 Composite decking is a relatively new product, and is often referred to as the most environmentally-friendly type of decking due to its use of recycled materials. It is usually made up wood chips and plastic. There are many bonuses to using composite decking such as the range of colours available, from grey to purple and brown. 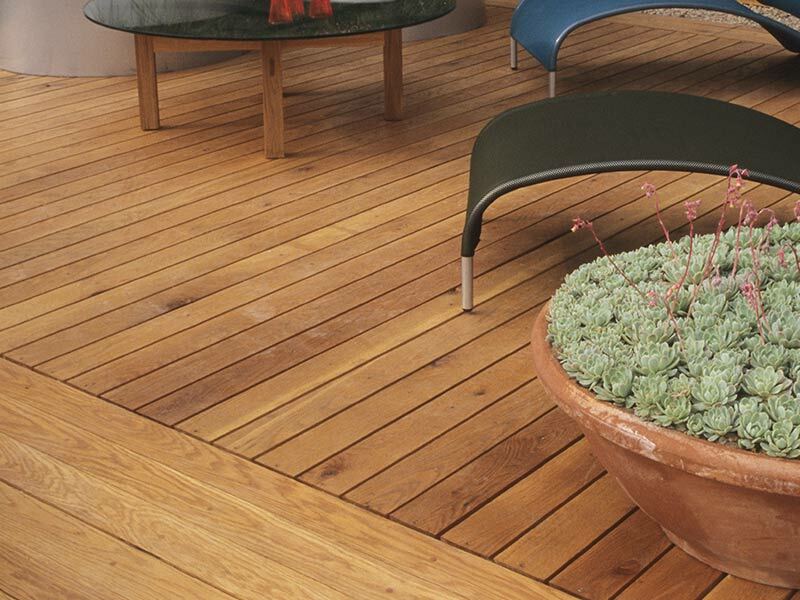 Composite decking does not degrade like wood, so it will therefore outlast hardwood decks. It isn’t porous so it won’t soak up moisture or have a covering of algae. The cost of composite decking can be more than hardwood and the colour does not continue through the deck, so if there is any major damage to the surface it cannot be simply sanded down.